Amid the confusion of the early records which tell about the great event which Easter celebrates one thing stands out very clear. No human eye saw the resurrection of Jesus or watched the inscrutable process. The Christian witnesses bore testimony only to the accomplished fact. The change from death to life culminated in the obscurity of the tomb. " 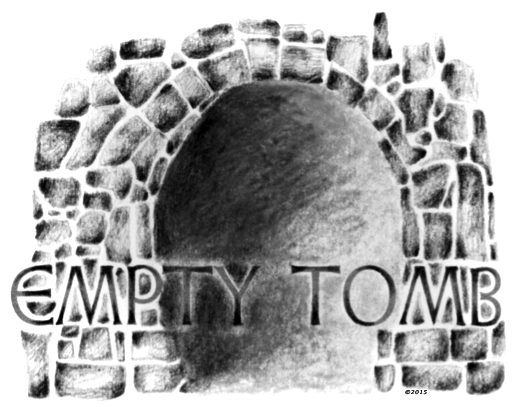 While it was yet dark," there came, according to the most philosophical of the Gospels, anxious watchers who found the transformation already complete and the tomb empty. The darkness which shrouded the event is paralleled by the confusion and uncertainty of the conflicting testimony that has reached us. In fact the whole course of Christian beginnings lies shrouded in the mystery of indefiniteness and the shadows of the unknown. But all great beginnings are thus conditioned and surrounded. Man becomes conscious of the result long after the causes have apparently ceased to operate. He sees the product after the early stages of the process have receded into the dim past. Only the scantiest remains mark the pathway of early developments, and the highest intelligence is necessary to descry the scraps of evidence and by comparison and imagination reconstruct the methods and movements of these living forces. Nestled in the darkness of mother earth the seed takes on the new life which is first observed springing in vigor from the soil. Out of the mothering womb of time has come forth the human race through its various stages, progressing through barbarism, primitive civilization, and the historic era. "Early on the first day of the week, while it was still dark..."
Empty Tomb drawing from Christian Clip Art Review. Since man began to think upon the past he has evolved unnumbered theories of his beginning, and still to the most instructed the early stages in each onward course of development must be approached through a twilight that ends in darkness. The rude beginnings of his culture are buried beneath the rubbish heaps of time. The institutions of religion, home and government we know only in their higher forms. Language, art and thought can be studied in their monuments alone. The keenest and most critical investigations have only partially revealed the successive steps of Hebraism and the founding of Christianity. Those centuries in which directive forces were forming the incipient movements which have culminated in what we call western civilization are often termed the Dark Ages. On the whole we must conclude that the great forces operating in society and in life conceal their most significant phases, those phases which carry the greatest import for the future, from the contemporary eyes of men. We cannot " look into the seeds of time, and say which grain will grow and which will not." While it is yet dark the great movements of the future are being planned and the first steps toward the realization of the plans are being taken. Around us at this Easter time the darkness and confusion of human affairs are almost beyond parallel. A crisis in history has, no doubt, been reached. We seem to see not only the disruption of international and national life, but the clashing ideals of races, the spread and deepening of hatred and strife, the failure of human capacity for organization to hold in check the elemental passions and aspirations of mankind, and even the breakdown of Christianity itself.